If you’re into collecting antiques or love the vintage look they possess, here’s one Barrow Chair you can easily fit in your study or by the fireside anyday. 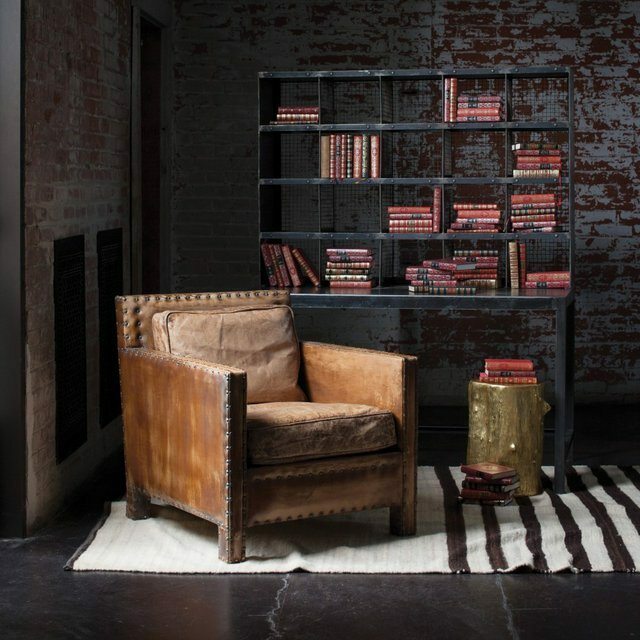 It has been beautifully upholstered in distressed buffalo leather with antique brass nailheads working as special features. The chair looks absolutely comfortable as a recliner you may want to use whenever you wish to spend those lonely hours engrossed in your favorite book. You won’t need to top it up with extra furnishings – It’s a beauty packaged in the charm of yesteryears which is enough to capture attention. That’s what every cosy chair should look like.